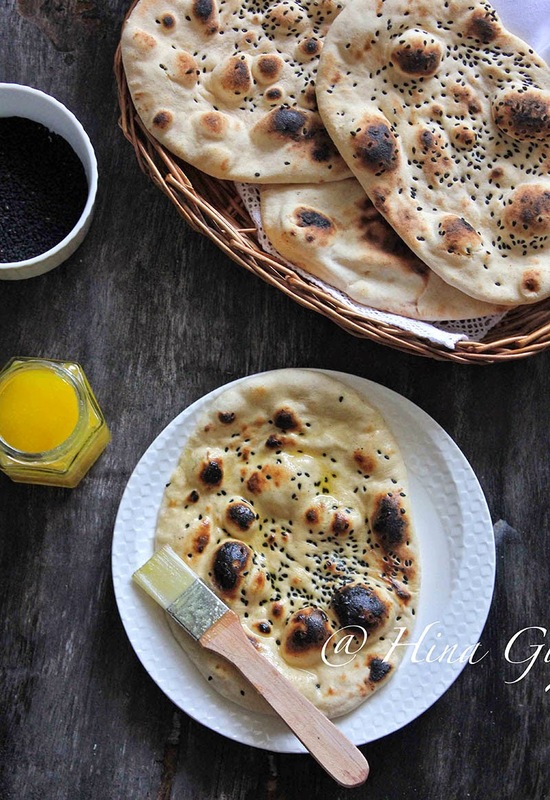 Naan is an Indian flatbread, history says it came to India along with the rulers from Central Asia and slowly became part of the Indian royal menu. 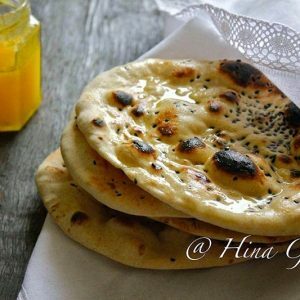 Whether it is rich and spicy meat curries or light and hearty lentil stews Naan is one bread which humbly compliments all. 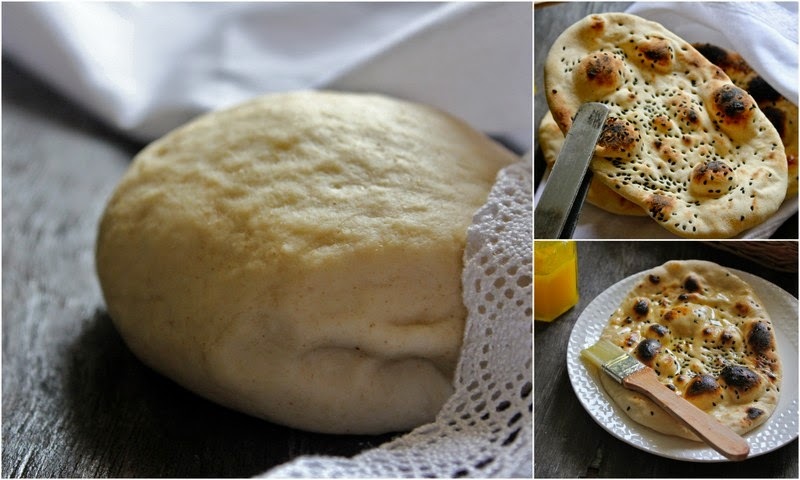 One of the most popular breads across the country – Naan is usually made with all purpose flour using yeast as fermenting agent, in this recipe curd is being used instead of yeast though using curd doubles the dough rising time but the end result is no different. Whenever I plan Indian menu for party at my place Naan has to be in the menu, soaking this soft pillowy bread in curries and having a mouthful of it in itself is a bliss and also very few of my guests are not so Naan lovers else everybody is fond of this tear shaped bread, for those who avoid white flour I do Whole Wheat Naan which is equally soft as the white flour one. Once the dough is ready I make small balls out of it and cover them, while food is served all I have to do is roll and puff the Naan’s and best part with Naan is it does not have to be perfectly shaped. Last week I made Dum Ka Murgh long with it I made some Naan – without yeast, I bind the dough in the afternoon and by the dinner time dough trapped up all the air well and was all ready to be rolled out into Naan, if you plan to make Naan at the last moment than I would highly recommend the yeast recipe otherwise this recipe is always a foolproof one. 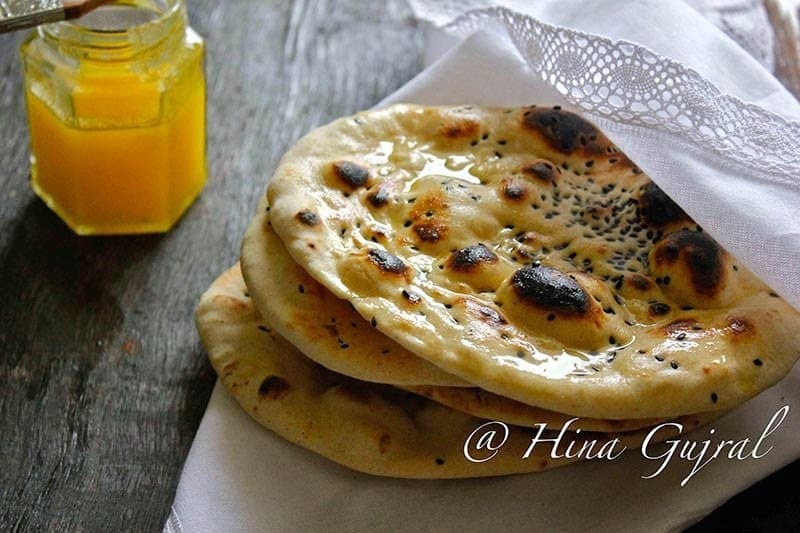 Naan is an Indian flatbread, history says it came to India along with the rulers from Central Asia and slowly became part of the Indian royal menu. Sieve maida with baking powder and baking soda in a bowl and make a dent in the centre. Pour curd, salt, sugar and ghee in that dent. Mix well and let it rest for 1 – 2 minutes, gather the flour with your finger tips and using 1 tbsp of lukewarm water at a time bind firm dough. Knead well for 5 minutes. Form a smooth ball of dough and keep aside covered in warm place for 4 – 5 hours. Heat flat pan/griddle over medium heat. Divide the dough into equal golf ball sized rounds. Dust the rolling platform with maida, roll dough ball into small circle and sprinkle 1/4 tsp nigella seeds on top. Now roll the naan into tear shape. 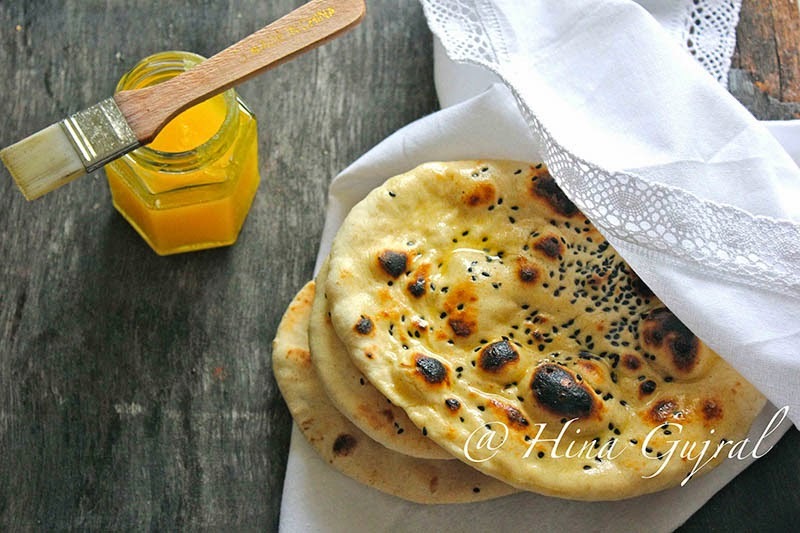 Apply water on top of naan with your fingers, and turn over it to the hot tawa ( buy it here ) so that the water applied part sticks to the pan. Cook in medium flame and after a minute it has puffed up marks on top. Now turn the griddle upside down and cook the other side on direct flame till the other side becomes light golden in colour. If you are not comfortable flipping the pan, simply put the naan in direct flame like Chapatis and cook until it get charred marks on top. Well made and Good way of making the naan.. Yes Pankti wheat flour can be used in the same quantity for this recipe. If I want to use whole wheat flour, should I follow the same recipe? 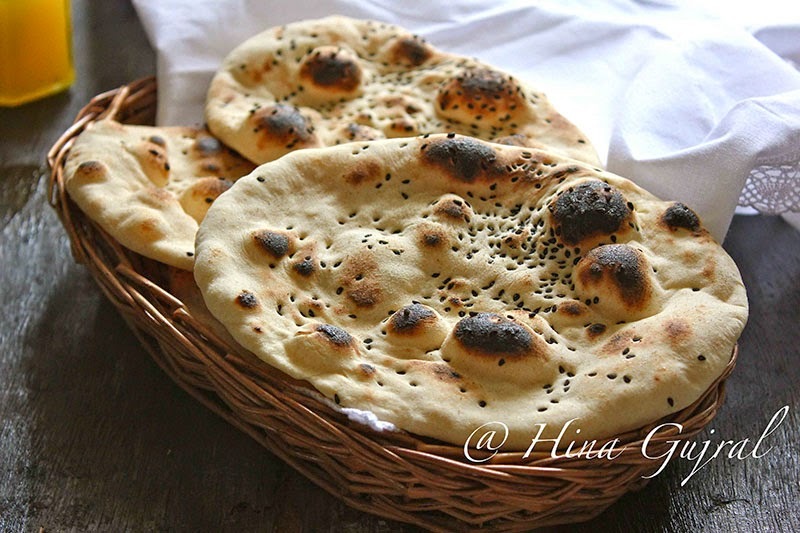 Fabulous recipe, the naans come out really well !